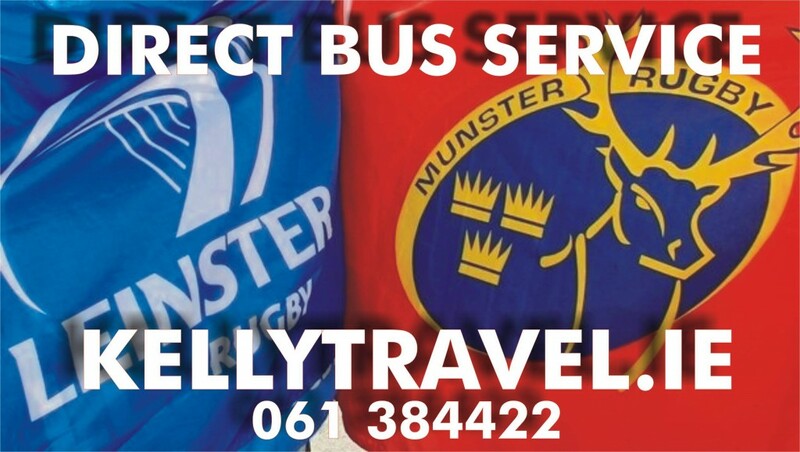 Kelly Travel provide dedicated bus services for Munster Rugby’s fans. As fans ourselves, we know how to ensure everyone gets to and from the games with as little hassle as possible. Kelly Travel will provide direct bus services from Limerick to the Aviva Stadium for Munster RFC’s crucial clash with old rival Leinster. Buses will operate from the City East Plaza in Ballysimon where you can avail of FREE Parking and will return after the final whistle.